Terra Translations, LLC is a language services company specializing in English and Spanish translation with 20 years of experience in the industry. We are based in the US and in Argentina and we help e-learning companies with transferring their projects effectively into Spanish. Our ISO 9001:2015 certification and our consistently high performance for quality, timeliness and turnaround time, demonstrates our commitment to quality and client satisfaction. We can translate, edit, subtitle, and perform the voice-over for all your e-learning materials Our team specializes in Adobe Flash, Lectora, Captivate, Articulate Storyline, among others. 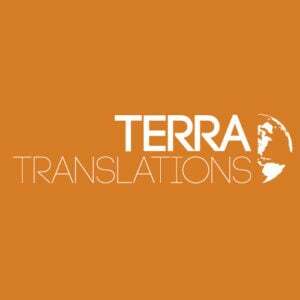 Terra Translations specializes in Spanish translation and localization, with capabilities to localize into all variants of Spanish. Regardless if your project needs to target European Spanish, Latin American Spanish, US Spanish, or even neutral International Spanish – we can help you. We are an experienced translation team formed by native Spanish-speakers who understand how to anticipate, detect and solve all Spanish localization challenges. Our dedicated in-house team of linguists, project managers, engineers, and DTP specialists will work towards the success of your project!